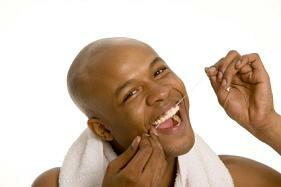 Good oral hygiene is very important for oral health and overall physical health. You have probably heard the saying you are what you eat, or you get out what you put in. When you think about it is very true. Knowing what you eat, and what it can do to your teeth and gums, and your body may have you reconsider your diet. We can help you figure out simple diet changes that can defiantly benefit you in the long run. Brushing your teeth at least twice a day, and flossing once a day is recommended to remove as much plaque and bacteria as possible. If you have any kind of pain or discomfort you should make an appointment to see your dentist. Here is why it may hurt when you floss. The most common reason for your gums to hurt is from not flossing enough. When you have a buildup of bacteria along your gums, they can get irritated. This by no means is a reason to give it up. Many people find a reason to not floss. You don't have time, it's hard to get to the teeth in the back, your gums bleed. Whatever the case maybe we can help you to make sure you are doing it the correct way right here in the office. You can use a floss holder to get to those hard to reach areas in the back, or pick yourself up a water pic. Adding mouthwash can help, but should not be used as a replacement to traditional floss. You may be flossing too hard if it hurts. Anything that causes you discomfort should be discussed with your dentist. We are here to help make sure you have all the information you need. We can help you figure out why you are having any kind of sensitivity issues, and what may be causing it. Our goal is to keep your natural teeth as long as possible. You only get one set of adult teeth to last you a lifetime, and we want you to be happy and healthy. The good news is we have a solution for you. Each person is unique in their own way, and needs to be treated differently, so giving you an answer over the phone really is not an option. We will need you to come in, so we can take a look, and get you going back in the right direction. We can talk with you about diet changes, or what maintenance might need to be done. We can make sure you are doing things correctly at home between visits. The important thing is that you come in, and don't put it off. Let us help you get your confidence back, and get you back to feeling better.